We know Biggie is well loved by EDM producers, and Kanye's in a space where his new album is not only featuring a number of electronic music producers, but is being remixed by a bunch of DJs and producers. Somewhere in between them in hip-hop's chronology is Jay-Z, who many see as the greatest MC of all time, and is definitely one of the most important figures in the hip-hop scene. 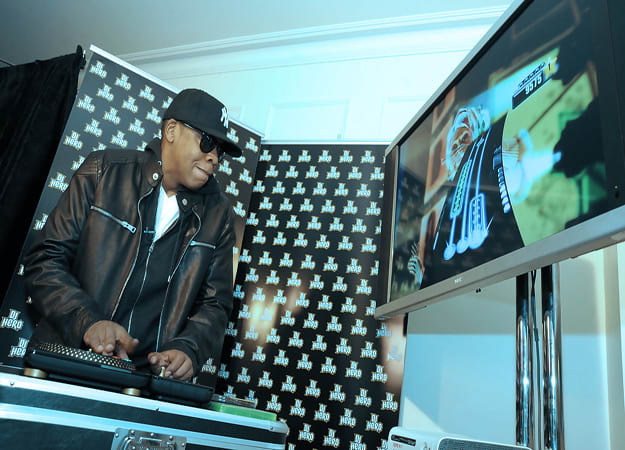 Jay's also an experimental being, and working with Kanye has birthed tracks like "N****s in Paris" and "Who Gon Stop Me," two Watch The Throne tracks that are some of the biggest examples of hip-hop and bass music coexisting. With Jay's new album, Magna Carta Holy Grail, dropping on the Fourth of July, DAD wanted to get into the spirit of Hov and finding examples of Jay-Z not only being sampled but being flat-out remixed. We've got everything from older jungle revisions to new school trap reworks. Jay has some legendary lines; we're just surprised his lyrics are being mined on a more regular basis. Without further adieu, here's our tribute to Jay-Z.